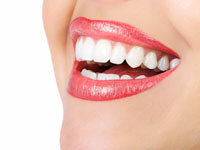 It’s no secret that straight, well-aligned teeth are an important part of a great smile. Unfortunately, the inconvenience associated with traditional braces keeps some people from straightening their teeth. For example, one of my 13 year old patients is a trumpet player in the jazz band and is concerned that braces could affect his embouchure. Other patients are unwilling to wear visible braces but desperate for a more attractive smile. For these patients and anyone who prefers an inconspicuous treatment option, Invisalign is an excellent choice. Invisalign uses a series of soft, plastic aligners that fit comfortably over your teeth to gradually and gently straighten your smile. These clear plastic aligners are nearly invisible and can be removed during eating, flossing and tooth brushing. Unlike traditional braces, Invisalign aligners can be removed during your dental cleanings and you can still eat all the food you enjoy. My practice is considered a “Diamond Invisalign Provider.” This means we have experience and expertise to help determine if Invisalign is the right choice for you. Now you can confidently show off your smile while straightening your teeth. Consultations are complimentary. Please feel free to contact us to schedule an appointment. Invisalign use a series of clear, invisible, removable appliances to straighten your teeth without metal wires or brackets. No more impressions required for Invisalign due to our state-of-the-art digital Itero scanner. The appliances are made through a combination of Dr. DeSimone‘s expertise and 3-D computer imaging technology. You wear each set of appliances for 1 week, removing them only to eat, drink, brush, and floss. You’ll visit Dr. DeSimone about once every 8 weeks to ensure that your treatment is progressing as planned. Total treatment time may average 4 – 15 months and the average number of appliances worn during treatment is between 8 and 30, varying from case to case. 5 out of 5 stars based on 35 Invisalign reviews. All of our children were treated by Dr. DeSimone, her professionalism and treatment for each one of our sons was excellent. Without hesitation, I would recommend Dr. DeSimone for orthodontia treatment. Dr DeSimone and her staff are great! Staff and everyone was super friendly and could not be happier with my results! I am so pleased with the results of my Invisalign treatment! The entire staff at DeSimone Ortho is so knowledgeable and kind. I would highly recommend to anyone looking to improve their smile! Dr. DeSimone is an outstanding orthodontist. She is highly skilled, compassionate, and professional. She has both an impressive mastery of the current orthodontic research and the artistic vision to achieve the best possible outcomes. I am so happy with my new smile and the alignment of my teeth. So happy with the results of my Invisalign! I would highly recommend DeSimone Orthodontics! A very positive experience from start of treatment to finish. I've been so impressed with the professionalism of Dr. DeSimone and her entire team. The Invisalign process was quicker and more successful than I imagined it would be. I love my new smile and have greater confidence showing it off. Very courteous care with step by step instructions and advice. Plenty of time to talk and discuss the best options. I found the Invisalign a good option for me, and did not feel it difficult to live with or care for. It progressed very quickly, and was virtually discomfort free. Surprisingly, I never had to take any Tylenol as the teeth shifted into alignment. I appreciated Dr. DeSimon's attention to detail and am very pleased with the end result. Staff and Doctor are fantastic! I'm so happy with the results of my Invisalign treatment! The staff at DeSimone Orthodontics was very helpful and professional. I would recommend them to all of my friends. All staff members are extremely pleasant. A pleasure to visit and highly recommended. I am exremely pleased with everything about Dr. DeSimone's office and staff. My children's teeth are amazing! Thank you! DeSimone is VERY smart. Talented doc, and kind. Invisalign went very well.